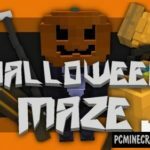 Living Maze is a huge maze that will change in real time. Your task is to find four very good hidden object among the bright and unreal landscapes. This map will delay you for hours nice and addictive game!